Louisville’s Triple Crown of Running | Runner. Writer. Renegade. January. The start of a new year and, for many of us, the start of a new racing “season.” January is the month many of us start getting back into training, after coasting through the holiday season. In Louisville, the combination of New Year’s resolutions and the Triple Crown race series serves as an impetus for many, both veteran athletes and new ones. 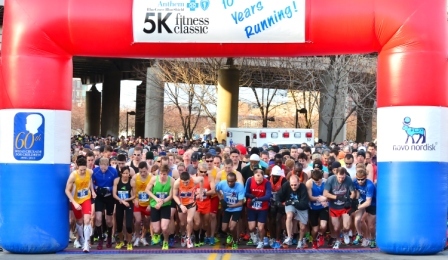 This year, the Anthem 5k will be March 7, followed by the Rodes City Run 10k March 21 and the Papa John’s 10 miler April 4. The Rodes City Run 10k will retain its long-time course that takes racers past historic Cave Hill Cemetery and past part of Cherokee Park, with a start and finish line also downtown. I also give kudos to the Triple Crown organizers, because the series not only promotes fitness, it supports a good cause, having raised more than $1.4 million for the Crusade for Children over the years. Learn more at louisvilletriplecrown.com — hope to see you there!